Buddy Dive Dominica Proudly Presents: Ned & Anna Deloach | Dive Industry Association, Inc.
Dominica, Caribbean (March 3, 2017) Buddy Dive Dominica is happy to announce that Ned & Anna DeLoach, authors of the Reef Fish Identification and Behavior books, will visit Dominica in the first 2 weeks of June, 2017. 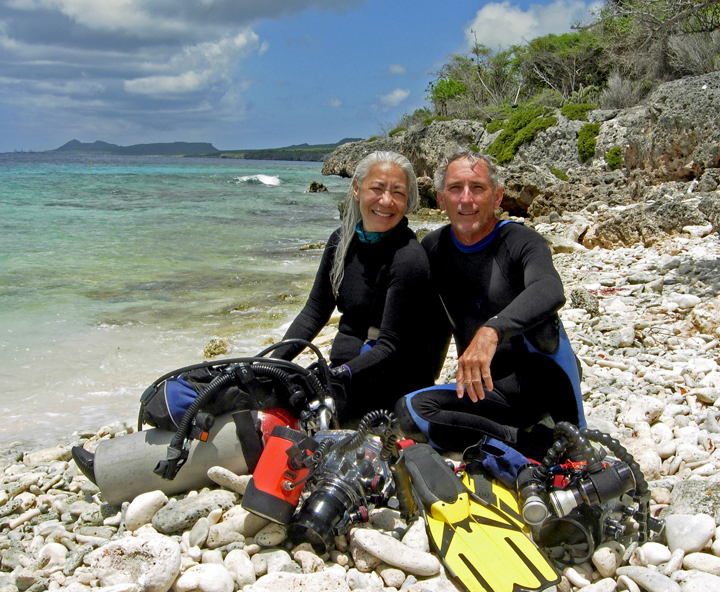 Ned & Anna DeLoach are long time guests of Buddy Dive; during the last 12 years they visited Bonaire on a yearly basis. Instead of diving the familiar turquoise waters of Bonaire, this year Ned & Anna are very excited to explore the pristine underwater world of Dominica with the Buddy Dive team from June 3rd till June 18th, 2017. Ned & Anna will host the Marine Life Education weeks on Dominica; 2 weeks to learn all about life on the reefs and the underwater wildlife. During these weeks they will join our team and guests for boat dives, give a presentation about Reef & Fish ID and share their knowledge. The Reef ID books will be for sale at a discounted price and Ned & Anna will sign books during a Rum Punch get together. “ We have been to Dominica before and we know what a beautiful underwater life the island has to offer. We are happy that we can share our knowledge and make divers more aware of what they see during their dives.” Anna says. Guests who book one of the Buddy Dive Dominica dive packages during these 2 weeks will receive three 1-tank boat dives Free plus a $75 food credit per room. The well-known Marine Life Education weeks at Buddy Dive Resort Bonaire in August and September will continue as usual. Divers travelling to Bonaire during this period will have the advantage of the 2nd diver diving for free at Buddy Dive Resort Bonaire. The Buddy Dive Staff on Bonaire is fully trained on Fish & Reef ID. This entry was posted in Events & Activities, Shows & Events. Bookmark the permalink.